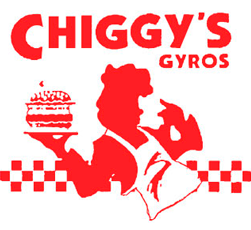 Online ordering menu for Chiggy's Gyros. Try one of our sandwiches here at Chiggy's Gryos such as the Roast Beef Sandwich, Tuna Salad Sandwich, or the Italian Sausage. Don't forget to try our BBQ Rib Tips and Chicken Gyros! Find us south of Ron Gbur Sports Field at the corner of Northwest Hwy and Smith Street. We're by EuroFresh Plaza Shopping Center! Order online for carryout or delivery!